WORK SCHEDULE: TBD. Hours and location will vary depending on the needs of the organization. SUMMARY: Assists providers in the immediate care of patients and performs all related duties. Accurately obtains and records weight, vital signs, and chief complaint. Prepares patients and assists providers with examinations, minor surgical procedures, and treatments. Obtains and updates patient history, medications, and allergies at each visit. Utilizes the electronic medical record effectively for all patient documentation. Assures cleanliness and tidiness of all exam rooms after each patient visit. Maintains sterilization of all instruments. Prepares and administers medications as directed by a provider. As requested by providers, performs lab testing, EKGs, ear irrigations, and phlebotomy. Administers oxygen, medications, immunizations, and nebulizer treatments per provider request. Performs point-of-care testing and quality controls as needed. Reports test results to patients promptly per provider orders. Performs pre-planning for patient visits. Interested candidates should click here and complete our online employment application. Making a difference in the lives of our patients and our community. Providing compassionate, high quality healthcare services for all. 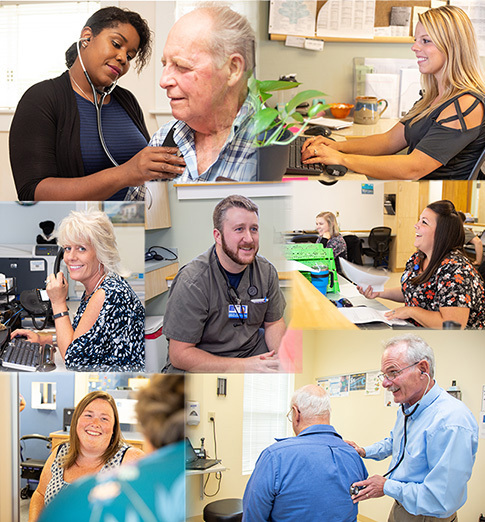 Health Access Network (HAN) is a Federally Qualified Health Center (FQHC) that was started in September 2003 and now has clinic locations in the rural communities of Lincoln, Medway, Millinocket, West Enfield, and Lee (Maine). © 2019 Health Access Network. All rights reserved.